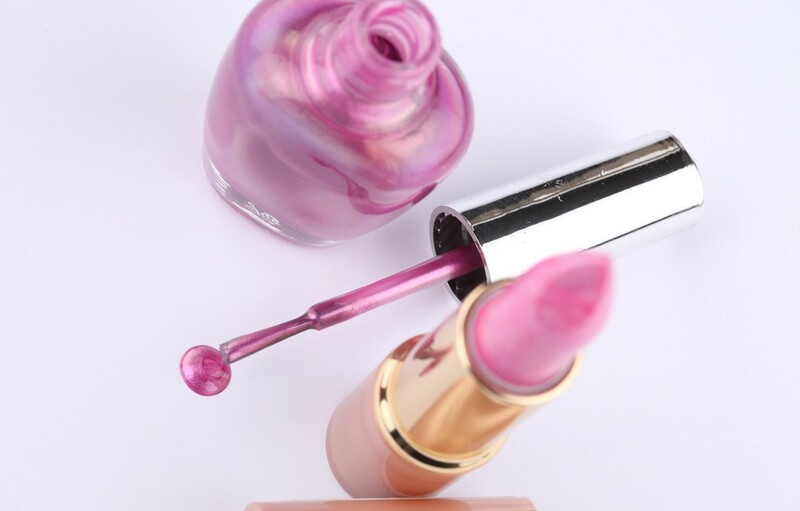 As the world’s second largest cosmetics market, China market has reached 200 billion Yuan in 2011. Besides, it is also one of the fastest developing markets with a 15% annual growth. So far, the market, especially the high-end market, has been mainly dominated by big foreign brands such as L’Oreal, NIVEA, Avon, OLAY and Shiseido. And now they are turning to occupy the lower market. 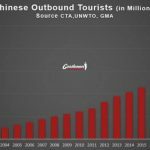 It means they have already gained favor of Chinese customers. 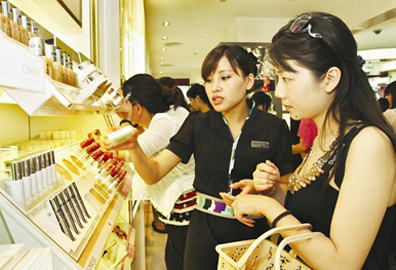 In fact, over 80% of China cosmetics market is dominated by foreign brands. In today’s market, skin care and makeup are the major two sectors of this market. They both has occupied about half the market. As to the development speed, medical cosmetics, children skin care and men’s skincare are the most interesting three sectors in the market. It’s estimated that the potential of the market will be more than 20 billion RMB. The annual growth rate is also supposed to reach 10%-20%. Children skin care market is another potential market which is now lead by Johnson’s baby, Princefrog and Mentholatum. Among them, Johnson’s has occupied over 80% of the market and the rest 20% were shared by dozens of the other companies. 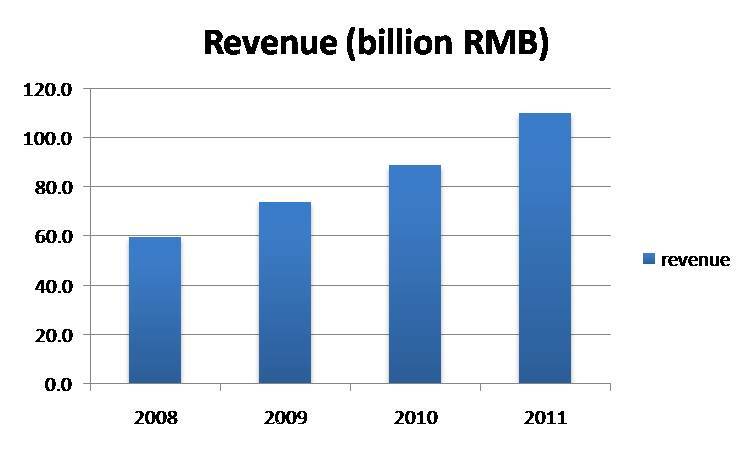 According to the estimation of Euromonitor, China men’s skincare market witnesses a 34% annual growth in 2011. And last year it also increased by 24.4%. The size of the market has also reached 3.2 billion RMB and supposed to increase with the more acceptances from Chinese people, especially men. Another detail to notice is that, the demand for skin mask, sun block products is increasing which means Chinese men are caring more and more about their skin. Although the scandals or bad news about foreign cosmetics brands coming out more and more recently, they are still enjoying most trust from their customers. The main reasons for them to choose a foreign brand are the BRAND and QUALITY. As a result of the high price of most big brands, most their consumers are young or middle-aged female in big cities. 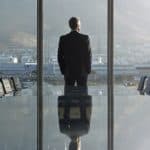 The fierce competition with big companies in traditional distribution channels has frightened many foreign companies. But now, there has appeared a new solution for those companies: E-commerce. The turnover of E-commerce of cosmetics has increased by 67%, at 37.3 billion RMB in 2011 and it’s estimated to hit 57.7 billion RMB in the past 2012. There are mainly tow kinds of e-commerce sites: professional cosmetics site, comprehensive sites and company online store such as Lancôme. 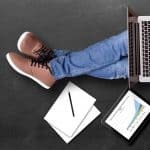 The advantage of using the ecommerce site to generate your business is that you can reach your customers to save both the budget and the trouble of negotiation with numbers of supermarket, shopping mall or stores. Besides, for those companies who are not able to sell directly to small cities or rural area, ecommerce can even help them develop market there without spending money on distribution network there. All what you need to do is to promote your store to get a better user experience and more traffic. As a product whose sales depend on its reputation, cosmetic are also one of the products that demand more most budget on reputation control. 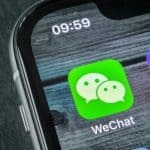 To control the reputation of your products, you need to know where Chinese people go to get information. If you control the source of information, you can successfully control the reputation. And the key of this is SNS because Chinese cosmetics consumers, especially girls tend to look for and trust what other users or key opinion leaders speak about the product. There are two kinds of SNS you need to care about: micro-blogging and professional SNS. 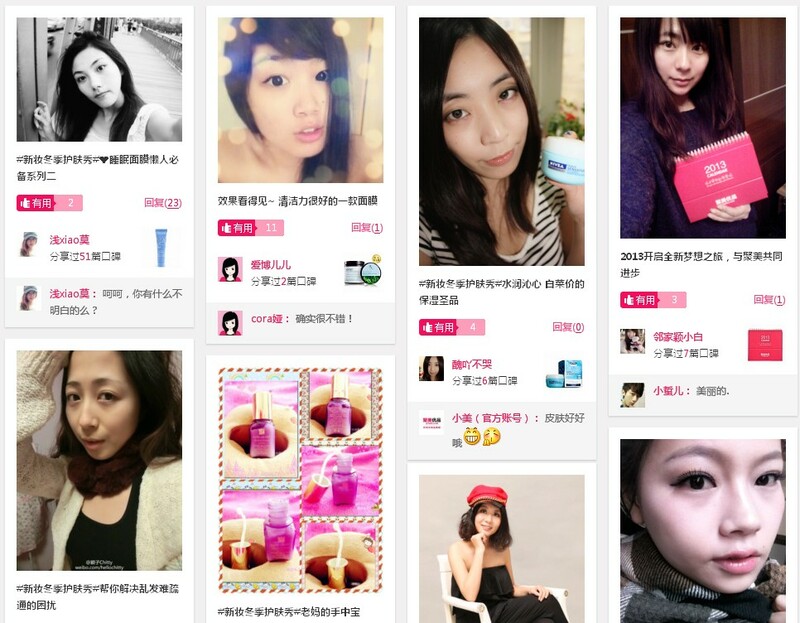 Micro-blogging, or Weibo in Chinese, engages hundreds of millions of users in China. Many people go there every day for information. As DCCI study shows, most people will look for further information after they get the information from micro-blogging. Pictures and links in the posts will also be checked by 49.57% of the micro-bloggers. In China, cosmetics consumers have another place to go online to search for information which turns out to be professional cosmetics SNS sites. On those sites, you will find many people, mostly girls, quite professional in cosmetics and their comment and evaluation on the products are very important and influential to the others. And the information of the products is usually shown in a way of Pinterest does most of the time. Philip passionated about Marketing and Web, I like to share with to International Marketers my knowledge about Chinese Market. I am a citizen of the world and my dream is to dicover the world. I really appreciate people who interact with my article, exchange different point of view. Nice article. I’m living in Beijing where are you? Hi Jeff, I’m in Shanghai. hi sugas, we will work on that later. 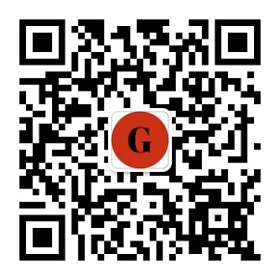 Hi, do u own a shop in China selling cosmetic brands and perfumes? Will u be keen to work together if I can supply you stocks? Thank you for this article. Do you know if Russian brands are famous in Cosmetics Field ? 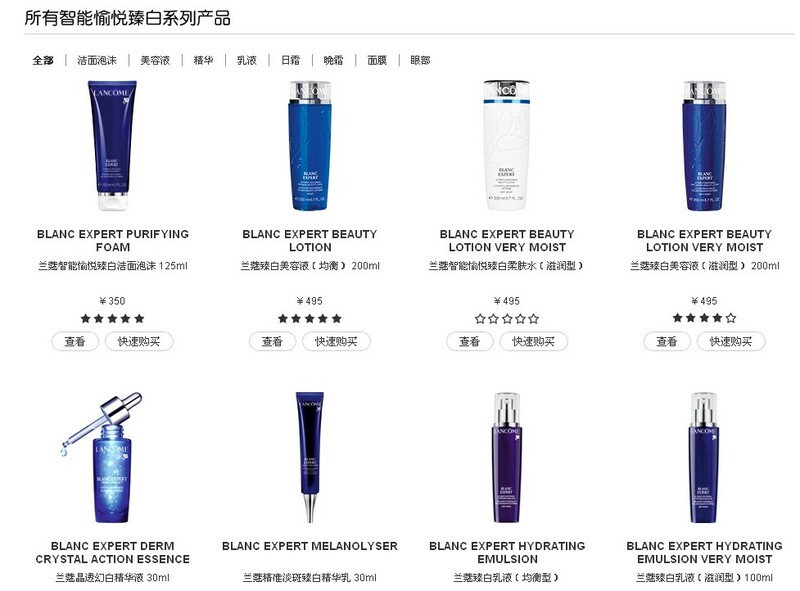 Many french cosmetics brands try to enter in China, but are blocked at the customs… Sorry . We can help them . Thank you for this interesting article. Cosmetics in China is booming. 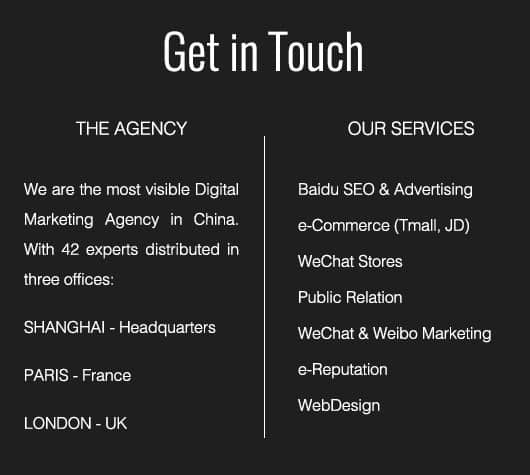 What is interesting is … every body use to outsource their production in China, and now they try to sell it ? you know afterward you can writ otherwise it is difficult to write.